"The results are very encouraging," said Prins, the study's senior author. 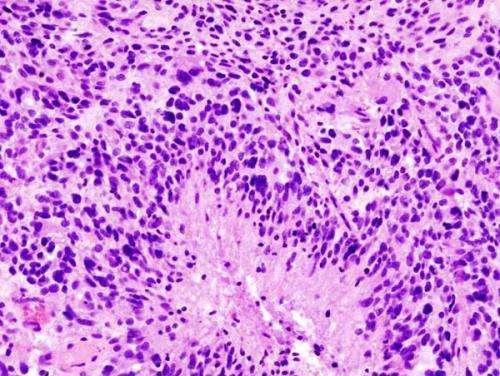 "This is the first hint that immunotherapy can have a clinical benefit for patients with malignant brain tumors —and help prevent future recurrences." The trial, which took place at seven medical centers throughout the U.S., evaluated 35 people with recurrent and surgically resectable glioblastoma—meaning the tumors could be removed by surgery. Of them, 16 received pembrolizumab before their surgeries and 19 received the drug afterward. "By administering the immunotherapy before surgery, we activated the T cells within the tumor that were previously functionally impaired, which is essentially what helped extend people's lives," Cloughesy said. In a person with cancer, if antigen-specific T cells are present and impaired by the tumor and the surrounding microenvironment, they can be awakened by the drug prior to surgery. In contrast, after surgery, the drug doesn't stimulate patients' T cells because those T cells are removed with the tumor.